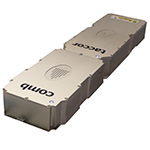 Laser Quantum’s taccor comb is a turn-key 1 GHz complete frequency comb ideal for metrology and frequency comb applications. The system features an extension module for CEO frequency detection and stabilisation. Visit us at Photonics West to learn more. 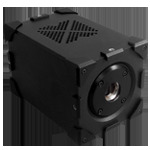 TruMicro 5280 provides an industrial grade 100 W picosecond beam at 515 nm for a variety of micro processing applications. Lasers in this product series vaporize material so precisely that no heat affected zone (HAZ) can be detected. 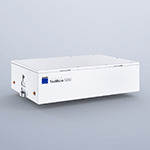 The TruMicro Series 5000 enables high throughput processing with exquisite precision for all materials, including semiconductors, metals, glasses, and plastics. Certified foldable safety panel systems made to withstand direct and scattered light generated by Class 3B and Class 4 lasers with an irradiance level of 1000 W/cm2 for 100 seconds. 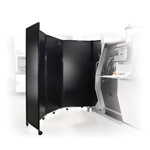 Includes 360° hinges, offering versatile portability for use in multiple workspaces. Quick setup and take down. Multiple sizes available. See deeper, clearer with the superior sensitivity and SNR of our high throughput OCT spectrometers, probes, and systems for OEM and research. From our award-nominated MicroAngio system to the 250 kHz line scan rate of our new Cobra-S spectrometer, we offer innovative products to get you clearer images, faster. View Now. The Lambda HPX-L5 uses a single high-power white light LED (430nm-700nm) that produces comparable output to our 300W Xenon arc lamp. 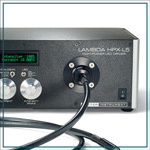 The HPX-L5 can be triggered with a TTL pulse or modulated with an analog voltage. LED dimming can be controlled by PWM (at 28KHz) or current control. Laser Focus World Videos invites you to forward this newsletter to colleagues or associates who might be interested in our regular news summaries Forward to a Friend. If you do not subscribe to Laser Focus World Videos newsletters, please click here.